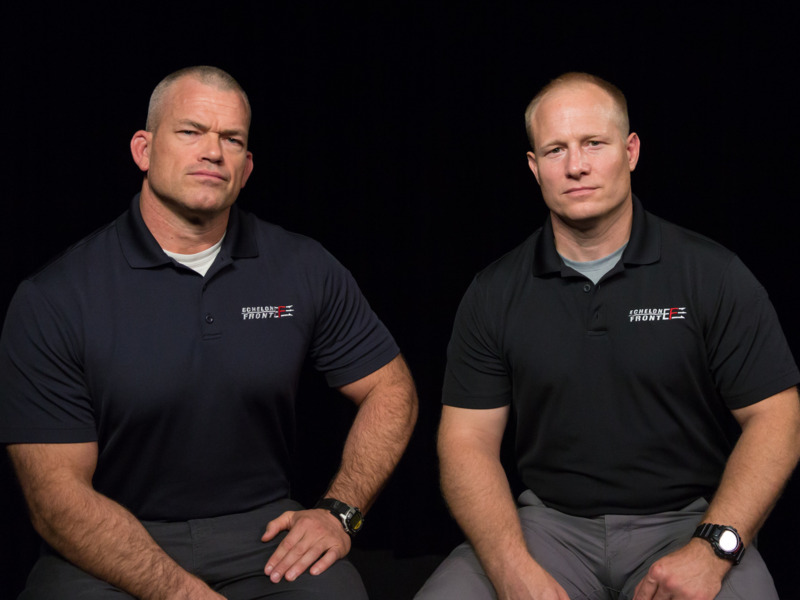 Business Insider/Jessica TylerJocko Willink, left, led US Navy SEAL Team 3 Task Unit Bruiser, and Leif Babin was one of the two platoon commanders under him. Former Navy SEAL commanders Jocko Willink and Leif Babin are bestselling authors and cofounders of the leadership consulting firm Echelon Front. They partnered with fellow former SEAL Michael Sarraille, founder of Vetted, to create a veterans job network called EF Overwatch. They said that the US military provides excellent leadership training, and that organisations should be assisting veterans with learning to apply those skills to the business world. Since their 2015 book “Extreme Ownership” became a bestseller, former US Navy SEAL commanders Jocko Willink and Leif Babin’s management insights have been in high demand. The leadership consulting firm they started in 2010, Echelon Front, has grown significantly since then and has worked with more than 400 businesses. In a recent interview about their new book, “The Dichotomy of Leadership,” Willink told Business Insider that after clients are trained in applying military leadership principles to the workplace, many ask him and Leif where they can find former military leaders to bring into their organisations. Willink and Babin both firmly believe that more businesses would benefit from hiring more veterans, which comprised 8% of the US population above the age of 18 last year, according to the Bureau of Labour Statistics. “Because these are folks that have already been trained to lead, and they have been tested as leaders, so that’s very important,” Willink said. When fellow former SEAL Michael Sarraille approached them last December with a pitch to partner with his veteran service-to-business transition program Vetted, it seemed like a great way to act on their clients’ request. “The US military is the preeminent leadership development program in the world,” Sarraille told us, and he and the Echelon Front guys wanted to make more businesses recognise that. The company they formed, EF Overwatch, launched in July and specialises in connecting special operators and combat aviators, those who served in elite military roles, with jobs and career training. Willink explained that businesses can partner with organisations like EF Overwatch, or universities like USC with specialised programs, to recruit veterans who have learned how to adapt their training to the corporate world. He said that when veterans return from service, they can sometimes feel “empty” without a mission, and that a way to counteract that is by making a job their new mission. “I think for military veterans that are transitioning into the civilian world, recognise that you have tremendous leadership experience, discipline, focus, teamwork, the default aggressive mentality to be proactive to actually solve problems and get things done – all those things translate directly to any organisation in any situation, so you bring a lot of skills to the table,” Babin said. For businesses, “it’s tremendous to be able to plug those leaders right in,” he said.